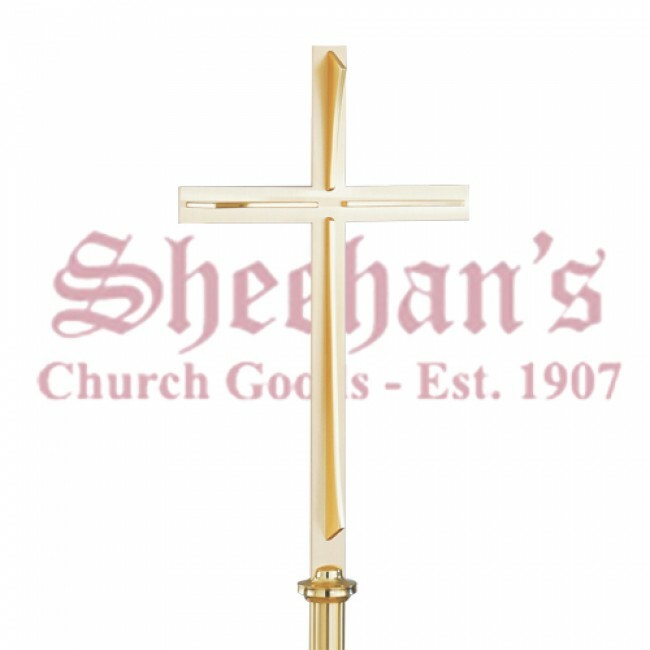 Processional Cross of satin and brightly polished brass measures 22" high x 13 ¼" wide. 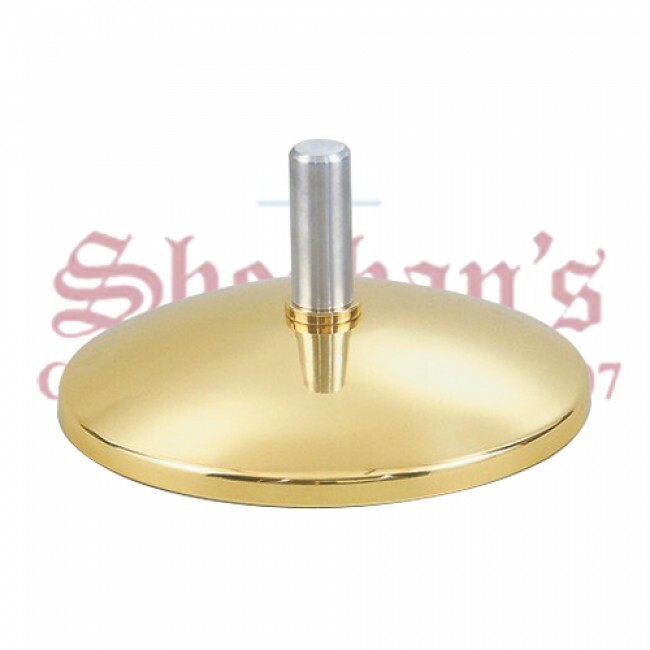 Cross is supplied with 60" length by 1 ½" diameter bright finish staff. Overall height of staff and cross is 82". To prevent tarnishing brass processional tubes are coated with a clear baked on powder coat finish. Bright brass cross stand, diameter 12", is weighted for stability.